Civil Air Patrol Government Relations works to take taxpayer money for club flying and youth indoctrination. 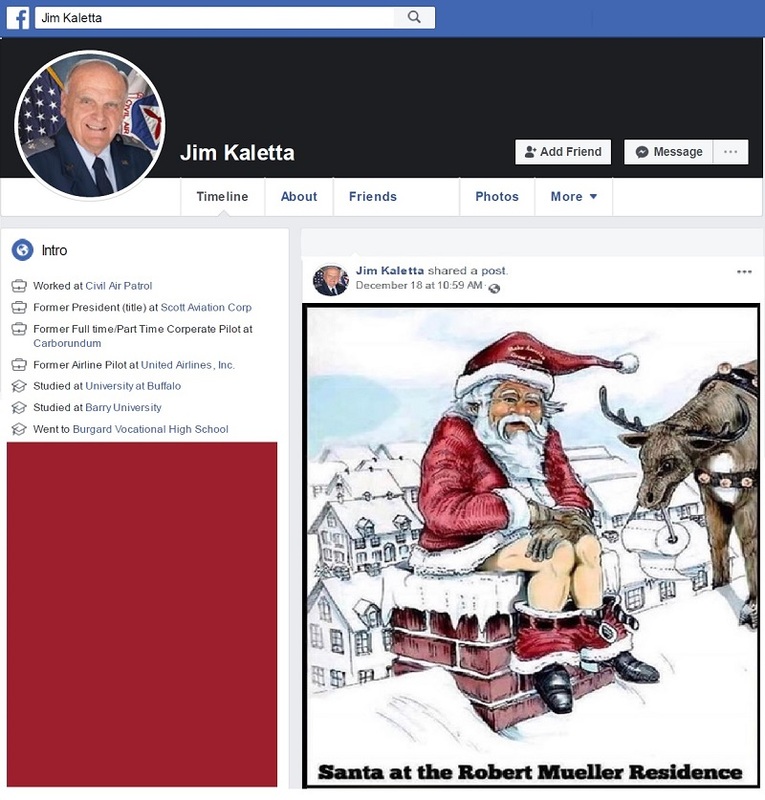 Civil Air Patrol Lt Col Jim Kaletta dresses for success as he denigrates decorated US Marine Robert Mueller and various elected members of the US government. 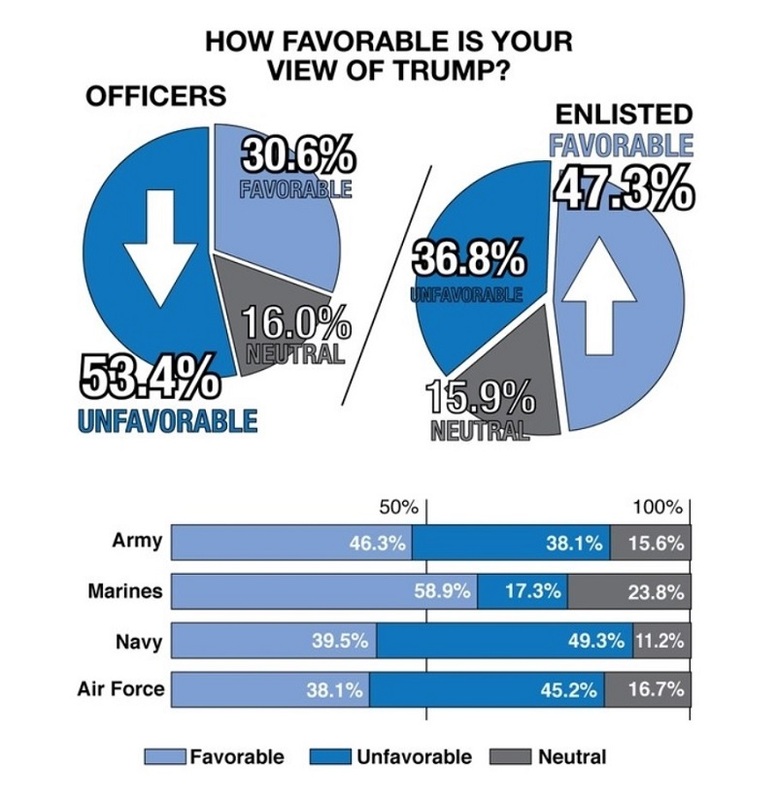 An AuxBeacon reader points out that Civil Air Patrol’s own Lead to Learn books admonish Donald Trump for his terrible leadership, atrocious manners and mean spirit. 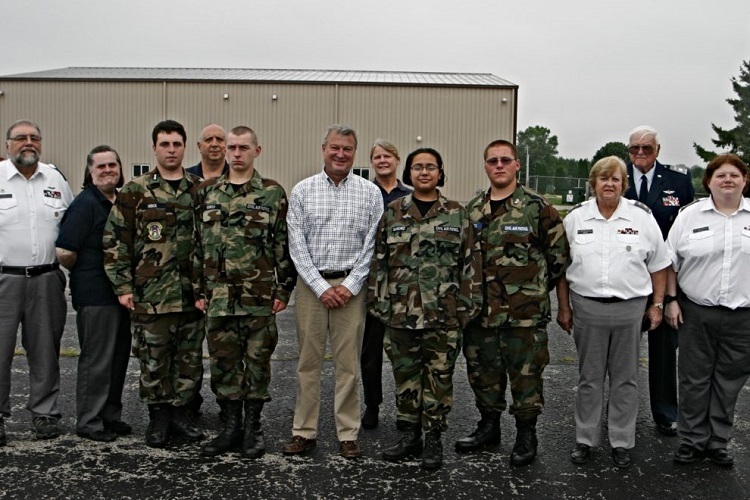 Civil Air Patrol’s Robert J. Bentley using cadets of a color guard before his conviction. Civil Air Patrol lobbies to induct Wisconsin State Assemblyman Joel Kitchens into Civil Air Patrol. On Saturday July 21st 2018 Wisconsin state assemblyman Joel Kitchens traveled to Cherryland Airport for a ceremony performed by members of the Door County Composite Squadron of the Civil Airport. 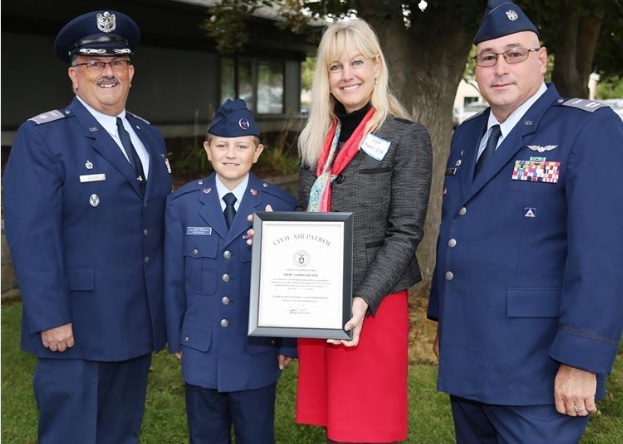 Under Lt. Col. David Fish, squadron commander for the Door County Composite Squadron, Joel Kitchens was inducted as a major into the Wisconsin Wing Legislative Squadron of the Civil Air Patrol (CAP). 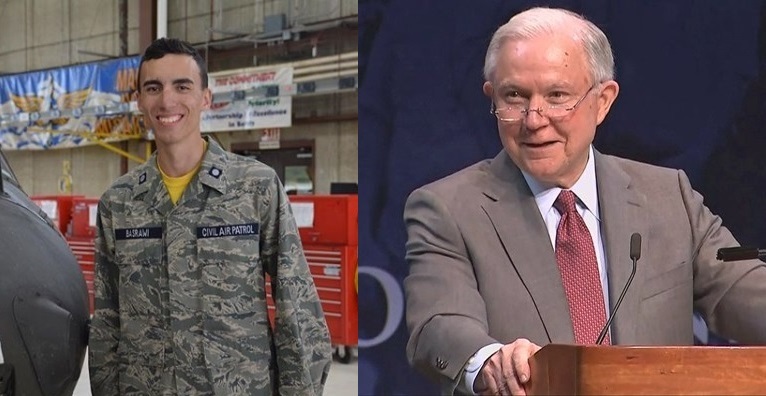 Major Kitchens joins 35 Assembly members and 19 state senators and who have received membership in Civil Air Patrol as a part of the organization’s efforts in lobbying and influence peddling. 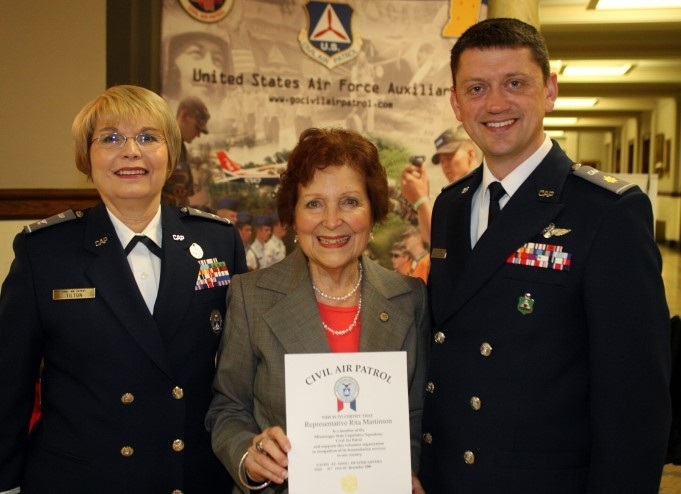 Civil Air Patrol’s Missouri Governor Matt Blunt is inducted as a CAP Major. 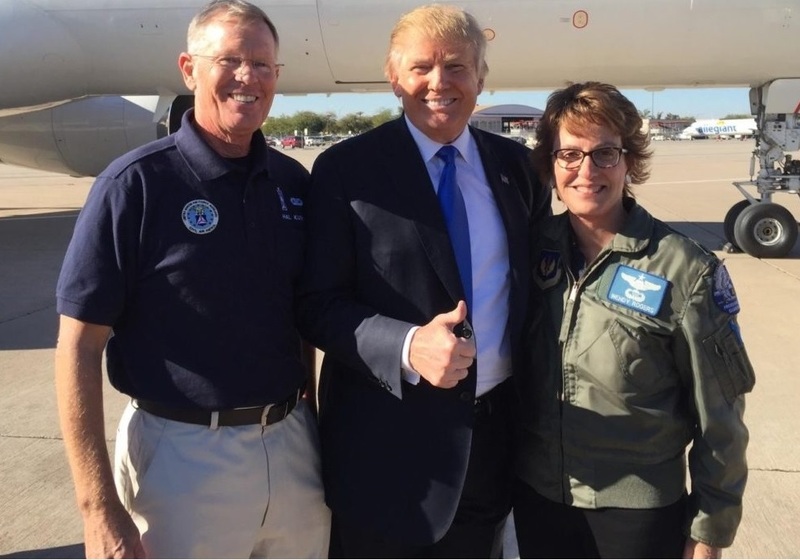 17 Comments on "Civil Air Patrol Government Relations"
Sen. Martha McSally is all over the news today. 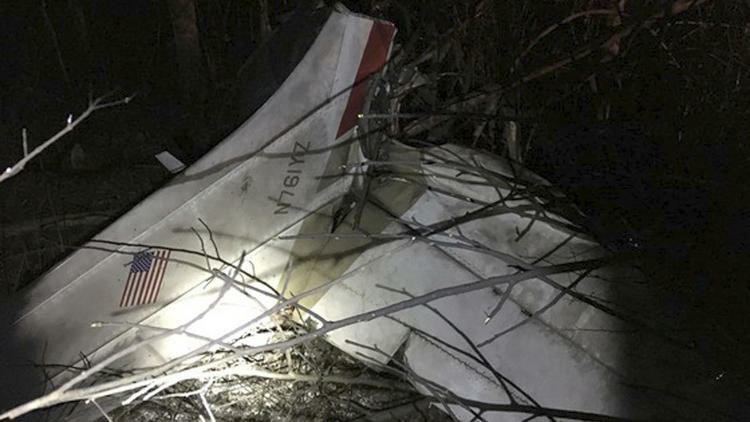 I don’t know if this will help you much, but I recall that Missouri Congressman Stanley Cox was inducted into the Missouri Wing Legislative Squadron some time in the fall of 2008. 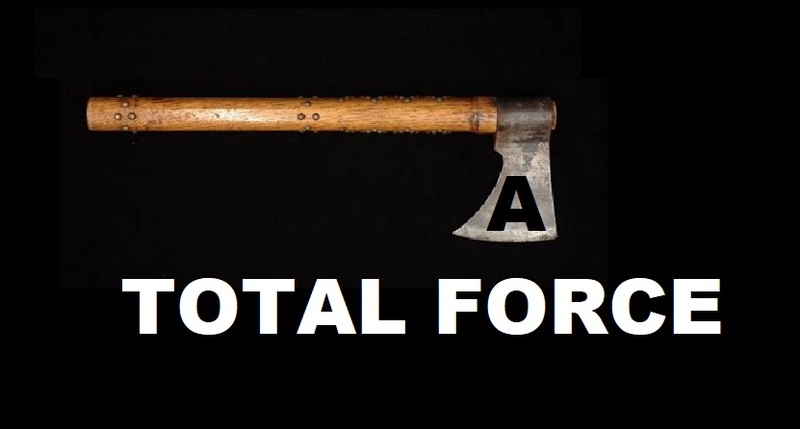 You could add former Missouri Governor Matt Blunt, Major CAP. 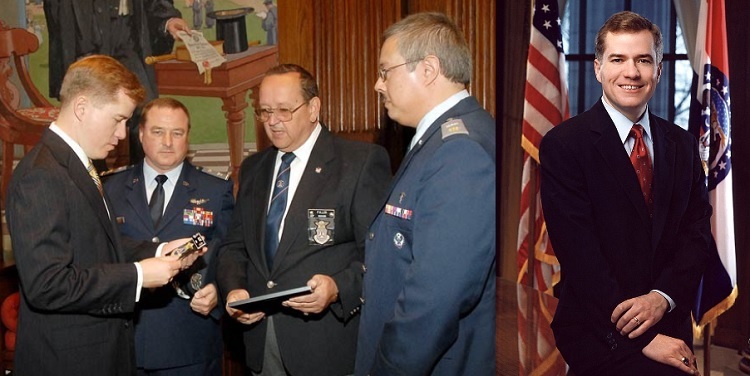 Civil Air Patrol inducted him into the Missouri Legislative Squadron in [November] 2007, even though whiffs of corruption were swirling around him and his Chief of Staff Ed Martin throughout 2007. The announcement of Martin’s replacement came on November 21st 2007 and by January 22nd 2008 US Naval Academy graduate Matt Blunt announced he would not run for re-election. [Admin: We’ve posted your comment and added your full contact submission. Thank you. I can tell readers a few things from having been inside the walls. 1. 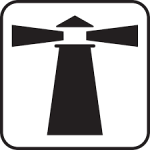 Reports coming to and from AuxBeacon have driven CAP leaders to foam at the mouth and gnash teeth in anger at their newfound public exposure. 2. Threats and abuse to members have [been] so bad for so long that this outcome should have been expected, but it wasn’t. They’ve never seen anything like this and commanders are now caught with their pants down. 3. 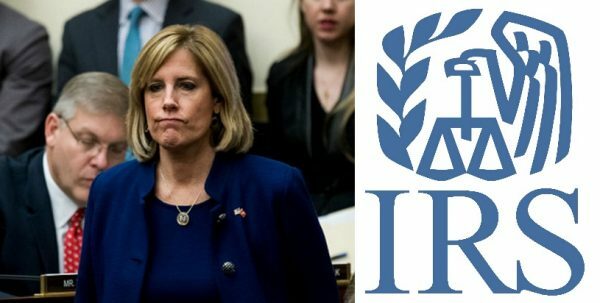 Some believe that much more dirt has been sent to you and that you are not releasing it, either to give them a chance to clean their own house per Ray Hayden’s Phoenix Plan or because you have turned over the worst of it to Federal Law Enforcement. How about Scott Gessler? I don’t know if he still is, but he was a most certainly a member of Civil Air Patrol who merged his professional and political interests on the taxpayer dime. Here’s one to add that CAP has tried to cover. Disgraced former Bama Gov Robert J. Bentley. CAP is rapidly scrambling to deal with what you have shown here. 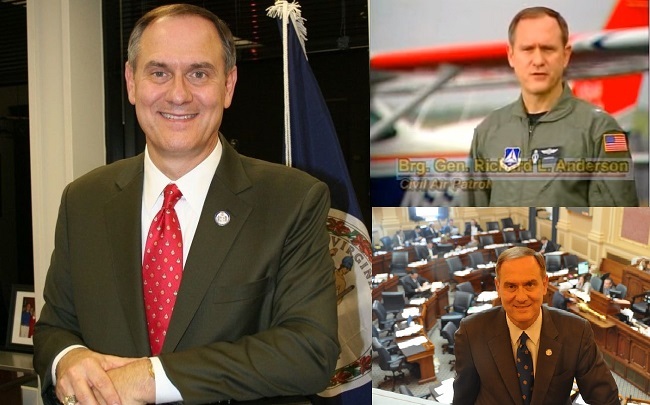 Look up our Kentucky Lt Gov who was just “surprise” inducted into Civil Air Patrol this past November. Seriously. Oh, man! Exposing this link to US government “in-appropriations” to Civil Air Patrol is really going to panic the leadership. It also could be a boon to those just waking up to how these people have worked the Jedi mind tricks to seed a generation of deluded voters that put a man like Donald Trump into the White House. Some of your stories have been opening with a quote. That’s a nice touch and sets the tone for whatever is to come. 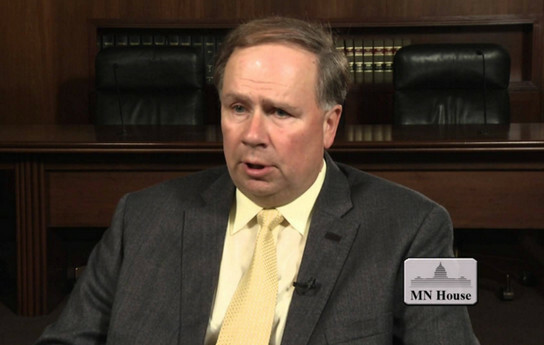 Please be sure to add our Joel Kitchens to your growing list of how CAP gains an advantage lobbying congress by giving away membership and rank. On the morning of July 21st 2018 Wisconsin’s Joel Kitchens was at Cherryland Airport for a ceremony performed by members of the Door County Composite Squadron of the Civil Airport, inducting Kitchens as a major in the Wisconsin Wing Legislative Squadron of the Civil Air Patrol (CAP). 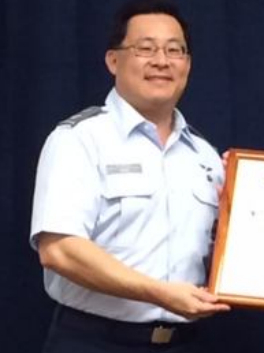 He joins 19 state senators and 35 Assembly members who have joined CAP, which is the United States Air Force Auxiliary. 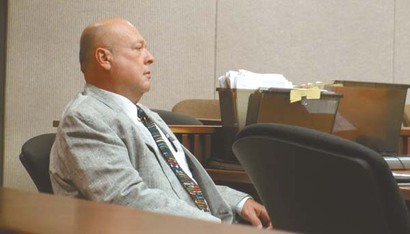 Kitchens was inducted by Lt. Col. David Fish, squadron commander of the Door County CAP. Kitchens then held an informal Q&A session with the five cadets who attended the regular meeting of the organization. You should do a story on Georgia’s state senator Michael Williams who reported to jail yesterday (Wednesday DEC26) after being indicted to be released on $10,000 bond. 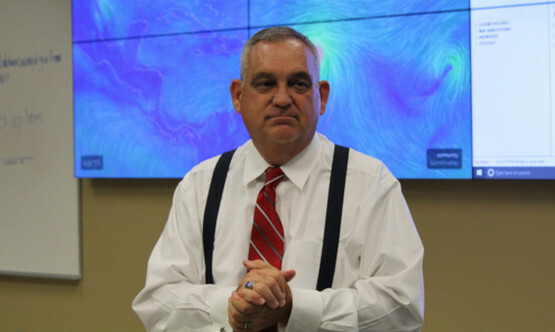 Williams is accused of lying to investigators and filing a false insurance claim related to a break-in he reported in May at his campaign office. Williams’ campaign manager said $300,000 worth of computer equipment was taken in the burglary. Will you add my original stories back into this?